I'm getting better at telling one butterfly from another. 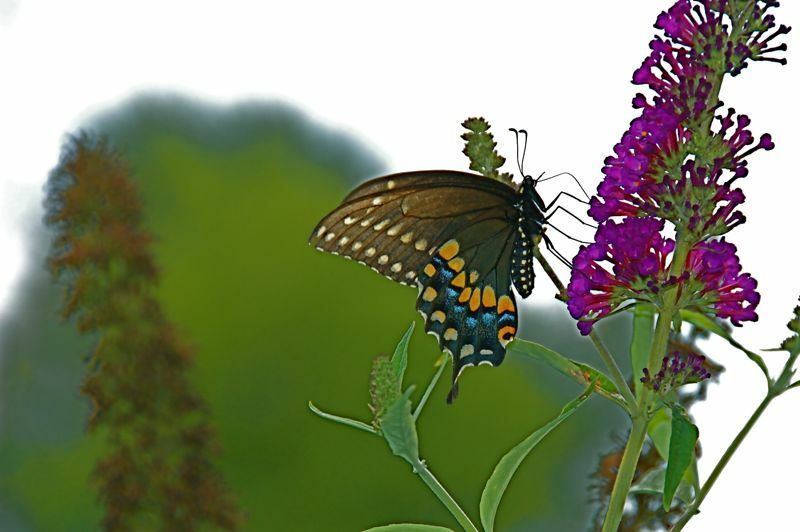 This is a lovely black swallowtail feeding at the buddleia (butterfly bush) in the garden. I put out a butterfly house, but I've seen nothing but bees around it. I like that in this picture I can see the butterfly's proboscis in the flower sipping out nectar. If this were a cartoon, I guess the purple flowers would be grape flavored, yellow would be lemon, red would be cherry and so on. If only we could communicate with the butterflies and find out what they taste.